Spring type benders with 'funnel' ends let you make smooth, no-kink bends in small diameter brass, copper and aluminum tubing. Simply insert tubing into spring, make your bend, and then slide spring off. 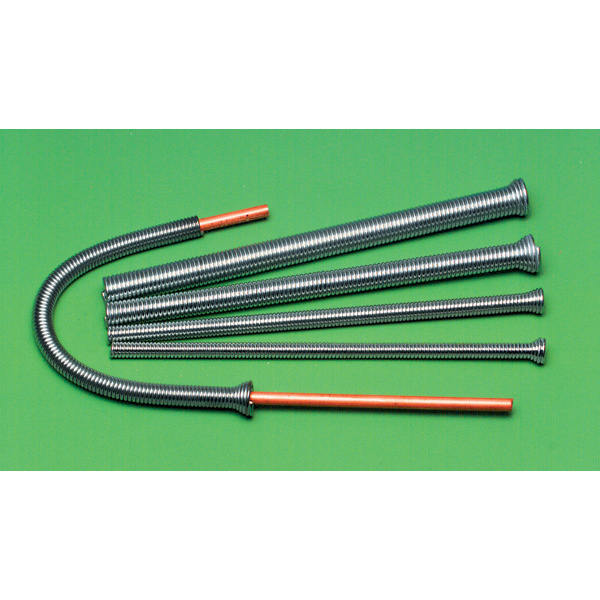 5-piece set bends 1/16 inch, 3/32 inch, 1/8 inch, 5/32 inch and 3/16 inch outside diameters. Zinc Plated steel.